Printing in an efficient way creates a lot of positive impacts on the mother environment and your office balance sheet. So, I always inspire people to print in a smart way. 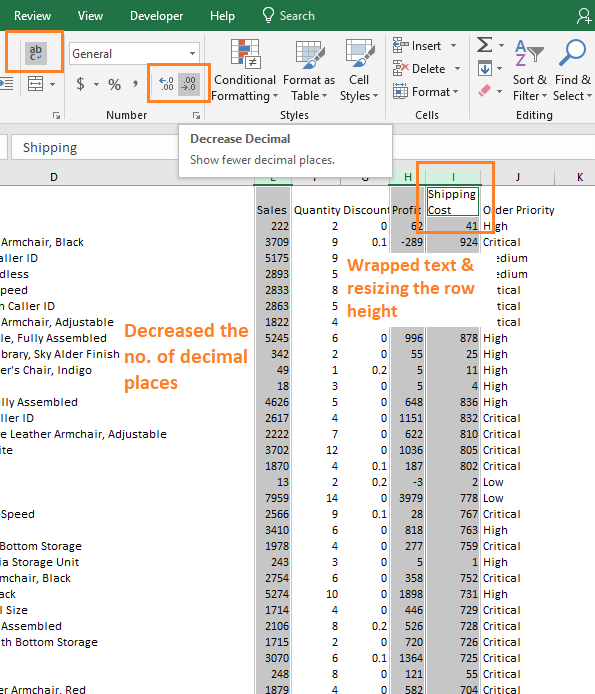 In this article, I will show how to make excel spreadsheet bigger when printing large data. I will be honest with you. Actually, there is no way to do that. 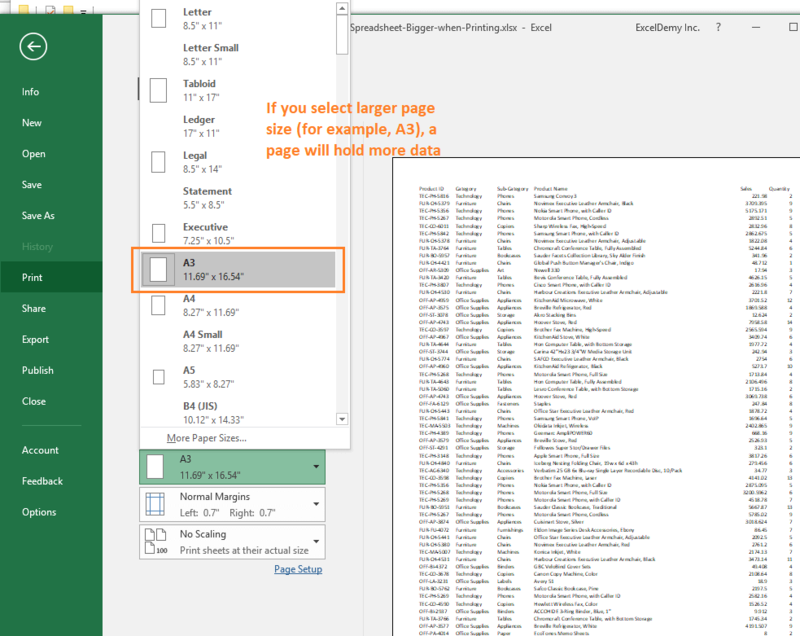 You cannot make your Excel spreadsheet bigger (unless you want to change the page size). But in this article, I will show some tips and tricks that you can use to print your large data in smaller space. Before going into the main discussion, let me clear one confusion. Don’t confuse with this phrase “making spreadsheet bigger”. You cannot make a spreadsheet bigger in size by its rows (total rows: 1048576) and columns (total columns: 16384) numbers. We are just going to show how you can allocate your large data (with a lot of columns) on a smaller page. You’re seeing an image of a worksheet. This data has 10 columns. So, it is tough to fit all these pages in 1 page. You’re seeing the page preview dotted lines. Your printed first page will hold only the first 3 columns (Product ID, Category, and Sub-Category), the 2nd page will hold just one column (Product Name) and so on. So, you cannot print all your columns on a single page. Page Orientation: If your data has more columns than usual, choose Landscape Page Orientation. Scaling of the Page: You can also use these options: Fit Sheet on One Page, Fit All Columns on One Page, Fit All Rows on One Page when necessary. Formatting Worksheet: This is very important. You can save a lot of space with just some small changes on your worksheet. Let’s take this page to print preview. Let’s now fit all the columns on a single page using my equation for Optimized printing. 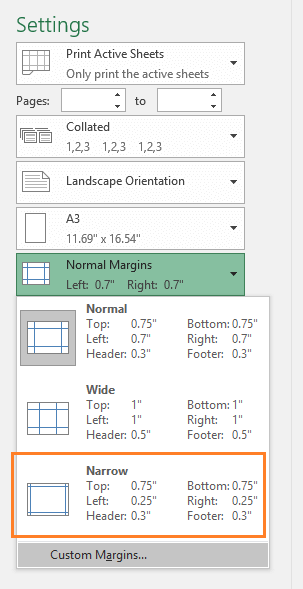 Several types of page sizes are available for printing your Excel worksheet. So, if your data has more columns than usual, then use a large size page (for example, Tabloid has 11’’ by 17’’ size). If your office has an option to print in a larger page, choose a page size like Tabloid, Ledger or A3. They are larger pages. See how many columns are holding the A3 page (11.69” x 16.54”). Though with a larger page size, we are holding most of the columns in one page, but not all. Still, 4 more columns to be added. And another problem is: printed data will not be readable in this setup. In this case, you should change the page orientation from Portrait to Landscape. You see how things have changed when I have chosen Landscape orientation. It is another option. 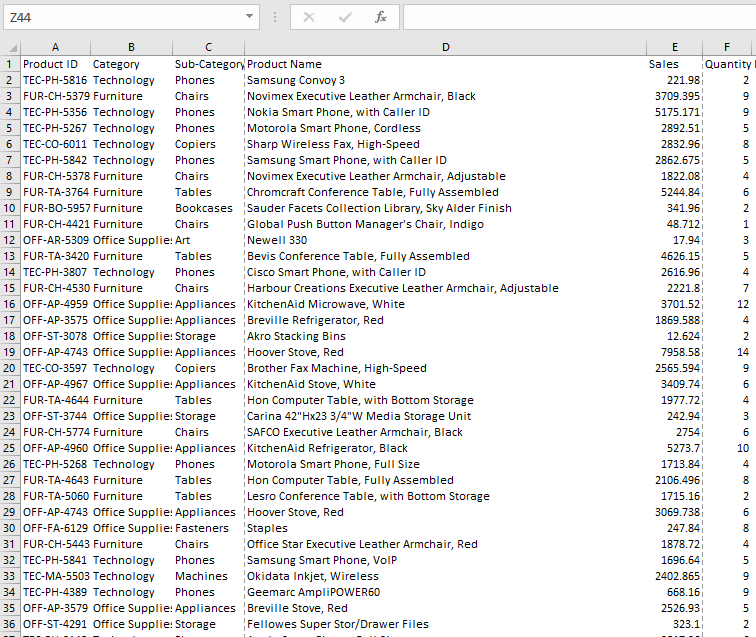 Excel automatically keeps some places for margins. You can reduce the margins of the page. Fit Sheet on One Page: Choose this option when you want to print all your worksheet data in one page. In most cases, this is the worst idea as the printed data will be almost unreadable if your data has a lot of columns. Fit All Columns on One Page: Use this option to place all your columns on one page. 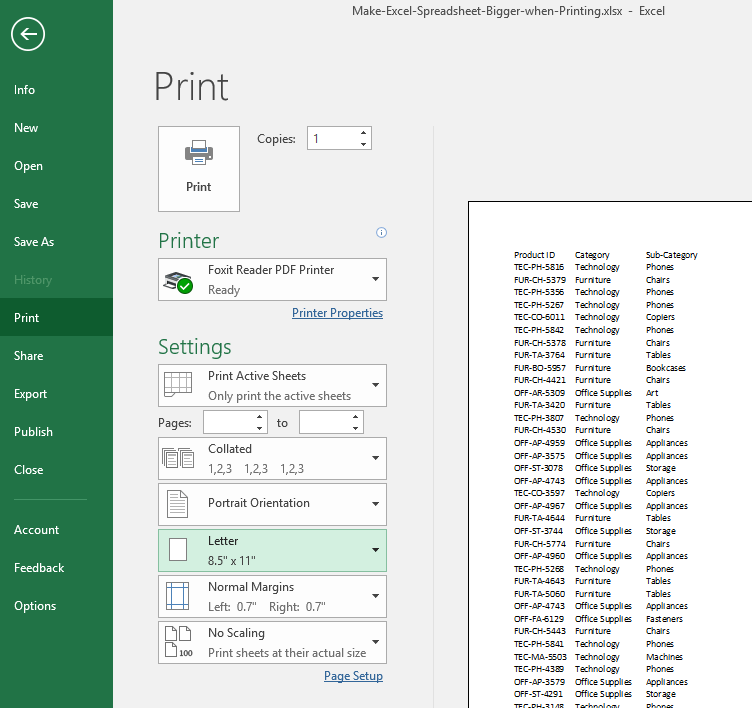 Fit All Rows on One Page: Use this option to print all your rows in one page. Personal opinion: In most cases, I will not use any of the above 3 options because this automated selection can destroy your printing. So, you can also avoid them. See, I have formatted the Sales, Profit, and Shipping Cost column decreasing the decimal values. I have also changed the wrapping of Shipping Cost cell and made the column width smaller in size. You see how the same spreadsheet is holding a lot of data. So, these are my ways to print large data on a single page. Do you know any better technique to print more date on a page? Please let me know in the comment box. The Fit to option maxes out at 100%. To fit to one page when you want to increase the size past 100% I wrote this blog post that has macro code to achieve a fit to one page with greater than 100%. I also explained how I created the macro which is also instructive.